You have received a document via Adobe Echosign. 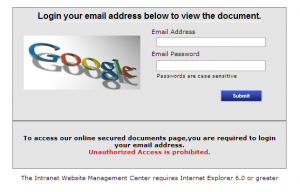 Sign in with your googlemail to review the document. When you enter your details your are then redirected to https://www.echosign.adobe.com/en/home.html – the real, official page. However, you are not logged in to Google or Echosign (I tested with fake details). 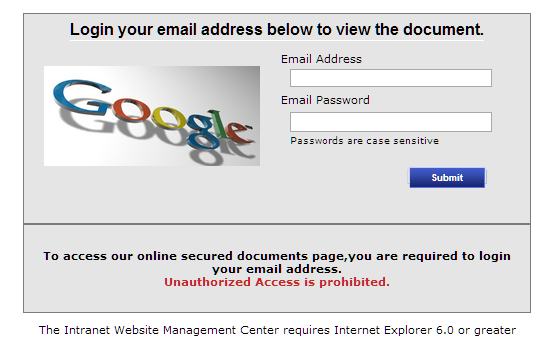 Obviously if you enter your Google email address and password all you are doing is giving them access to your account. They are then free to steal your data, spam your friends, hack your websites and generally be complete bastards.